We’d love your help. Let us know what’s wrong with this preview of The Fire by John A. Heldt. To ask other readers questions about The Fire, please sign up. This is the third John Heldt novel that I’ve read. "The Fire" is the sequel to "The Mine" and "The Journey." Our hero, Joel Smith, from "The Mine" returns as a geology professor to Kevin Johnson, an upcoming college graduate. Being that it was his last summer before grad school, Kevin takes a mini vacation with his family (his mother being Shelly Preston from "The Journey") touring an old city that was destroyed by a fire over a hundred years ago. Then, one night, Kevin discovered something that This is the third John Heldt novel that I’ve read. "The Fire" is the sequel to "The Mine" and "The Journey." An intellectual curiosity compelled him to seek out the old shed in the back, a portal that somehow sent him to 1910, the year of the fire. That’s like going back to the day the Titanic sank. Kevin was a smart, kind, and charismatic character. He seemed to have a chivalry complex when it came to how girls were treated in 1910—he couldn’t stand that Sadie worked in a brothel, he hated the heartless brute that courted Sarah, and he expressed disappointment on how the bright female students in his science class were programmed to think that their years were chained to household and family duties. Still, being caught between the affection of two lovely ladies is never a good place to be in. Then there was the inevitable fire. “Would [he] ride through Wallace like a turn-of-the-century Paul Revere and warn residents that the fires were coming? Or would [he] let history run its course and let people die?” (177) Kevin must make some hard choices—some hard, life-threatening choices. Filled with scrupulous, historical detail, this book is just another top notch in Heldt’s finely crafted belt. Readers will enjoy another time-traveling adventure filled with drama and romance. Well-written and entertaining! This time-traveling adventure was inspired by major historical events: the great fire of 1910, caused by the Halley’s Comet which led to a huge wildfire. This science fiction novel weaves romance with time-travel. Throw in an adventurous twenty-two year old, who can’t help but to meddle with with history, and you have yourself a great read! I really liked Kevin because of his chivalrous nature. His character won my heart when he paid the debt of a prostitute’s father – so that she no longer had t This time-traveling adventure was inspired by major historical events: the great fire of 1910, caused by the Halley’s Comet which led to a huge wildfire. This science fiction novel weaves romance with time-travel. Throw in an adventurous twenty-two year old, who can’t help but to meddle with with history, and you have yourself a great read! I really liked Kevin because of his chivalrous nature. His character won my heart when he paid the debt of a prostitute’s father – so that she no longer had to sell herself, to pay off her father’s debt. He further endeared himself to me when he concerned himself with the female students of 1910, wanting them to be more than miner’s wives whose greatest challenges would’ve been to stretch laundry detergent so that they could keep their families’ clothes clean in a cost-effective manner. Overall, a great read. If you enjoy time travel or science fiction, you will like the Northwest Passage Series. So much was of interest in this time travel novel...the setting in Wallace, ID (the state of my birth), the time period (where there were modern conveniences mixing in with the horse and buggy days), the historic fire that leveled much of Wallace in 1910(loved how the author gave Kevin memories from his grandfather to guide him during the fire.) The author made me think I could just find this old stone building in Wallace and travel to another time in Wallace. Some things concerned me...like tea So much was of interest in this time travel novel...the setting in Wallace, ID (the state of my birth), the time period (where there were modern conveniences mixing in with the horse and buggy days), the historic fire that leveled much of Wallace in 1910(loved how the author gave Kevin memories from his grandfather to guide him during the fire.) The author made me think I could just find this old stone building in Wallace and travel to another time in Wallace. Some things concerned me...like teaching his students scientific concepts unknown to science of the time...questionable? Ethical? All in all it was an interesting, exciting, book addressing real problems, and using real life events as a backdrop to the story. I have put The Big Fire on my TBR list! John Heldt is a great Author. This is the fourth book I’ve read from him. The 4th in this series. John not only captures your attention with his writing, but he really personifies his characters. Especially with this book. I really felt a connection with Kevin, Sadie, Andy, Maude, and Sarah. By the end I felt like a close friend. People I’ve known for ages. I felt a connection to the era, so much in fact that I looked up the places and people mentioned. I discovered and appreciated music of the firs John Heldt is a great Author. I felt a connection to the era, so much in fact that I looked up the places and people mentioned. I discovered and appreciated music of the first decade of the 20th century. John Heldt not only writes great novels, but he actually takes you back through time to relive it! This is the only book I have read of this series but I was able to follow the story without a problem. An entertaining, captivating story. Recently graduated from college, twenty-two year-old Kevin Johnson is visiting the small town of Wallace, Idaho with his family when he stumbles across a hidden diary and a cache of early 20th century gold coins in his late grandfather’s home. Kevin’s plans for a quiet summer change drastically when he discovers that the home’s old wood shed is a portal to the 1900s and the treasure was hidden away by his great-great-grandfather Asa Johnson, ancestral patriarch and apparent time-traveler. As Kev Recently graduated from college, twenty-two year-old Kevin Johnson is visiting the small town of Wallace, Idaho with his family when he stumbles across a hidden diary and a cache of early 20th century gold coins in his late grandfather’s home. Kevin’s plans for a quiet summer change drastically when he discovers that the home’s old wood shed is a portal to the 1900s and the treasure was hidden away by his great-great-grandfather Asa Johnson, ancestral patriarch and apparent time-traveler. As Kevin experiments with this newfound contradiction to his years of scientific teachings, he can’t deny the reality that he’s somehow managed to set foot in Wallace circa 1910. Before he can retreat to the familiar mayhem of the twenty-first century, Kevin crosses paths with local schoolteacher Sarah Thompson and finds that he’s unable to stop thinking about the beautiful woman who lived over a century before him. Determined to find her again, Kevin puts his trust in the time portal’s consistency and travels back and forth between the centuries. But as he integrates himself in Sarah’s life and the lives of Wallace’s 20th century inhabitants, he starts to wonder if time travel is more dangerous than it first appeared. There’s the miserable Preston Pierce, a mean-spirited banker and the most powerful man in town, who’s taken an interest in taking Kevin down. Then there’s beautiful young Sadie Hawkins, a down-on-her-luck orphan who might be willing to challenge Kevin’s attachment to Sarah. Hovering ominously over his complicated escapade into the past is history itself and the knowledge that Wallace in 1910 was the victim of one of the greatest, most destructive wildfires known to man. As Kevin balances his friends and enemies in a remarkable new time he’ll have to decide how much of history he can rewrite, and what the consequences will be if he tries. The Fire, the fourth book in author John A. Heldt’s Northwest Passage series, boasts all of the imagination and charm of its predecessors. Heldt’s approach to this series has been impressive. Rather than following a more predictable format, his novels have alternated to feature two different families and their time traveling adventures – that of Joel Smith in The Mine and Shelly Preston in The Journey. I’ve enjoyed each of the four novels in this series immensely, but The Journey struck me with its emotional power and daring. Being its sequel, The Fire carried the same emotional pull with yet more warmth and sentiment. Here again Heldt shows his ability to not only tell stories of heartwarming friendships and romances, but of strength during incredible struggle and endurance after tragedy. What has become another hallmark for me in this series is the near guarantee of a strong cast rendered in crystal clarity through Heldt’s engaging storytelling. The Fire achieves that beautifully, with perhaps some of my favorite characters in the series making their debuts. Not only are we met with a smart, effervescent female character in beautiful schoolteacher Sarah, but also in the resourceful orphan Sadie. One is confident and self-assured while the other is plagued by the weight of her own crippling self-doubt, but strength alights in both women that carries them off the page and into the hearts of their readers. Additional characters like Irish newspaperman Andy O’Connell and wealthy widow Maude Duvalier bring an extra dose of warmth and wit, while other more villainous folks carry just the right amount of drama. Meanwhile, the hero of the story and center of its love triangle, time traveler Kevin, is immensely likable and charismatic as he finds his footing over a century in the past. Much as the Northwest Passage books stand on their own, seeing their stories intertwine as almost the entire cast made appearances in The Fire was very entertaining, and pure fun. 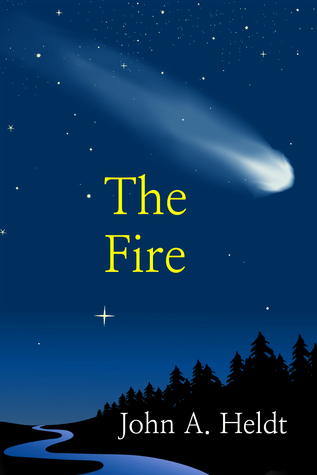 Read alone or as part of the series, The Fire is a welcome addition to a dependable and imaginative collection of novels. It’s a story that will delight readers in the magic of the world – in several eras – and bring them to both laughter and tears with its inspiring illustration of man’s timeless qualities: love, courage, and devotion. What would you do if you found yourself with the unique ability to travel back through time? Would you take a risk and do it? That is just where Kevin Johnson finds himself after joining his family to go through his grandparents house in Wallace, Idaho. Kevin just recently graduated from college with two majors in Earth Science and Physics. Now while attempting to kill a spider in his room, he spills an ice tea and discovers the tell-tale marks of a hidden storage space beneath the wooden floor. What would you do if you found yourself with the unique ability to travel back through time? Would you take a risk and do it? That is just where Kevin Johnson finds himself after joining his family to go through his grandparents house in Wallace, Idaho. Kevin just recently graduated from college with two majors in Earth Science and Physics. Now while attempting to kill a spider in his room, he spills an ice tea and discovers the tell-tale marks of a hidden storage space beneath the wooden floor. What he uncovers is a stash of diamonds, double-eagle gold coins, and more along with his great great grandfather's leather journal. In it he discovers that the rock shed in the back yard can be accessed through a solstice sun or a full moon and when using the gold coins to spell out the year you want to travel back to, the shed becomes a time travel portal. Since following his great great grandfather, Asa Johnson's journal he discovers that Asa himself has been time traveling quite a bit and thus the need for money that can be spent in 1910 as well as 2013. Kevin decides to take his own journey back to 1910 as life in the current year hasn't brought him much in the way of love and believes an adventure is just the thing to get his mind off things, especially being left alone in the house while his family takes a weekend side trip. What Kevin uncovers is that while he is in 1910, his place in the current year of 2013 is just as he left it. As though he hadn't been gone at all. So he takes another journey and this time finds there is quite a bit to uncover in the town his great great grandfather was a part of. Now if he can only convince others there, that he truly belongs in the year 1910. However Kevin knows that on August 20, 1910, a great fire will come to the town and virtually wipe out most of the town as well as left 85 people dead due to multiple fires caused by months of drought and high winds. What he doesn't expect to find is not only a love of becoming a teacher in the high school, but also in falling head over heels in love with not one lovely young lady, but two. There is quite a difference in the standards of courting women in the 1910's from the fast paced romance of 2013 and all Kevin knows is that as much as he wants to go back to the present time, his heart won't let him go. Will he be able to convince Sarah Thompson, the woman he first laid eyes on when he arrived in town that he really is who he claims to be, a time traveler from the future? Once again, author John Heldt blends history, time travel and romance. Once again he has created another warm and wonderful read with his signature brand of writing! The Fire, at first glance, seemed to be a little lighter than his previous time travel romances, there seemed to be more of an adventurous spirit in his young hero, who makes a few trips back, knowing he may be interfering with history, but unable to avoid the pull. Over 100 years in the past, Kevin’s heart tells him he has found th Once again, author John Heldt blends history, time travel and romance. Once again he has created another warm and wonderful read with his signature brand of writing! The Fire, at first glance, seemed to be a little lighter than his previous time travel romances, there seemed to be more of an adventurous spirit in his young hero, who makes a few trips back, knowing he may be interfering with history, but unable to avoid the pull. Over 100 years in the past, Kevin’s heart tells him he has found the girl of his dreams, he finds responsibility, he learns to care deeply about the people around him and what happens to them, and he becomes the man of another girl’s dreams. Does Mr Heldt know something we don’t about time travel? I felt I was stepping back, physically and mentally, as if I was really there! The Fire has his same high quality writing style, smooth pace and that “in-the-moment” feel without using over-the-top drama and shock value. Kevin is one of those characters I just connected with, I liked him, I felt like I understood what made him tick. I got that same “solid” feel for Sadie, while Sarah and Andy, while great characters, seemed almost lightly veiled and dreamlike, like a fond memory already. I was even able to “revisit’ characters from previous books as they made cameo appearances bringing back fond memories as I thought of their unique time travel tales. The best part? It all flowed seamlessly and enhanced the fantasy! After reading The Mine by John Heldt, I said,” Who says men can't write paranormal romantic Chick Lit????? The Mine by John A.Heldt has funny moments, sweet moments, sad moments, inspirational moments, and yes, sigh-worthy moments. I'm not trying to have the author's man card revoked, but, wow...” That comment still stands with The Fire, because once again, I felt ALL of those emotional moments, and once again, I had to reach for the Kleenex while reminding myself this is fiction, I'm not really there! I definitely need to thank John Heldt for providing me with a review copy of this wonderful read! 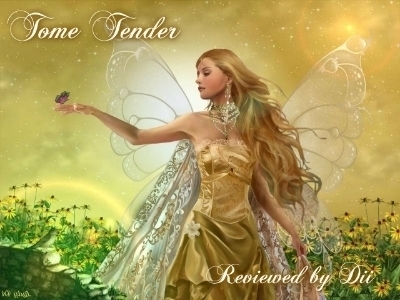 For more reviews check out Tome Tender's Book Blog or find us on Facebook. John Heldt is probably the only man that can make me consistently cry. And that’s a good thing! Kevin Johnston is the son of Shelly Preston, our protagonist from The Journey. As you may recall, an older Michelle had time travelled back to see her younger self and her story did not end well. So you could say time travelling is in the family and that Kevin can’t get away from it, especially when you learn a certain character from The Mine is his university professor. Once again I thought I had Kevin’s journey pretty well predicted. Yet he surprised me at every turn. He knew it was a bad idea to go back to 1910 and that it was a bad idea to get so involved in people’s lives in Wallace and yet I understand his motives for wanting to go back there. Yet whatever mysteriously causes time travel is not going to forgive Kevin for messing with history and the conclusion of the novel is absolutely heart-breaking and at the same time, joy-inducing. The Fire is such an emotional roller coaster that I’m having a hard time putting my thoughts down to write this review. I was so connected to the characters, perhaps more so than I have been in John Heldt’s previous three novels. Kevin really did speak to me. He was a good person if a little flawed because of that chip on his shoulder when it came to women. Still, he got over that eventually and at the end of the novel you can really tell he’s a better person. His relationship with Sarah, his confused feelings for Sadie and his friendship with Andy all made him more realistic and much easier to sympathize with. Yet these characters weren’t put there for the sole purpose of providing opportunities to show what a nice guy Kevin is! No, they’re excellent, well-developed characters in their own right. I liked how the pacing was generally consistent throughout The Fire and that although it definitely sped up at the end, it wasn’t as rushed as the ending of The Show. John Heldt definitely took more time to build up the historical town of Wallace in order to build up the tension for the coming fire that would level most of the town. His descriptions were much more vivid in this installment of the Northwest Passage series and I think The Fire was a better book for it. John Heldt’s writing just keeps getting better and better with each book. Although the theme of time travel features in all four, he has created very different characters to tell the story of America and each achieves happiness in their own, unique way. Even if you haven’t read the first three books of the series, The Fire can certainly stand on its own, which is why I recommend you pick it up right this instant. Yes, it’s that good. The Fire, the sequel to the Journey follows young Kevin Johnson to his deceased grandfathers' home in Wallace, Idaho in 2013. There he discovers his great grandfathers diary, and a portal that takes him back to 1910. That is the year of the worlds biggest fire and Haley's comet. He learns he can travel back and forth between 2013 and 1910. Once there he makes friends and has the opportunity to help some people. He even meets the woman of his dreams. But he must be careful in his travels for if he alters too much of the past it can have a great impact on the present and his future. I was impressed with this book. Once again you see Joel and Grace through the eyes of one of Joel's students. Kevin travels back in time to 1910 when his family goes on vacation and visits an old family home. In 1910 he learns about love and family. He meets a woman, falls in loves and wishes to bring her to the future. He also helps others with his wealth, and he becomes a teacher in a town that needs educators. Along the way he has to decide to change the past or let the world go on, even tho I was impressed with this book. Once again you see Joel and Grace through the eyes of one of Joel's students. Kevin travels back in time to 1910 when his family goes on vacation and visits an old family home. In 1910 he learns about love and family. He meets a woman, falls in loves and wishes to bring her to the future. He also helps others with his wealth, and he becomes a teacher in a town that needs educators. Along the way he has to decide to change the past or let the world go on, even though a disaster is in the cards. I was disappointed by The Fire. Now, don’t get me wrong! It was a splendid novel … but it just wasn’t quite as good as The Mine and Indiana Belle. I love the thought of time travel, this was pure ecstasy. Thank you John Heldt. This novel held me captive throughout the adventures and heartache. I highly recommend this novel to fellow fans of time travel. I thoroughly enjoyed this book and will look for others in this series. Kept me reading and wanting it to go on past the end into a new adventure. Halley’s comet sets the stage for love! When Kevin Johnson, 22, goes to Wallace, Idaho, days after his college graduation, he expects to find rest and relaxation as his family prepares his deceased grandfather's house for sale. Then he discovers a hidden diary and a time portal that can take him to 1910, the year of Halley's comet and the largest wildfire in U.S. history. Within hours, Kevin finds himself in the era of horse-drawn wagons, straw hats, and ankle-length dresses. Traveling repeatedly to the same time and place, he decides to make the portal his gateway to summer fun. The adventure takes a more serious turn, however, when the luckless-in-love science major falls for pretty English teacher Sarah Thompson and integrates himself in a community headed for disaster. Filled with humor, romance, and heartbreak, THE FIRE, the sequel to THE JOURNEY, follows a conflicted soul through a life-changing journey as he makes his mark on a world he was never meant to see. What did I like? Having seen the comet once in my life it would have been so interesting to have seen it in 1910 with the wide-open spaces! This was a stunning storyline and the ending will blow you away! I never saw it coming but had tears of joy when it did! What will you like? The past like you was living in it yourself, the details and the descriptions were so lifelike. The emotions ran exceedingly high in this one and kept me on the edge of the seat with every page. Unbelievable twists and turns, excitement, romance, history and a killer ending. All that an incredible story that just grows and develops as you read. Characters that are amazing and feel like you know them or at least would love to know them. The action that has you holding your breath and unbelievable heartbreak! I am on my way to the last book. Can’t wait but don’t want it to end…. The Fire (Northwest Passage, #4) by John A. Heldt The fire is book 4 in Norhtwest Passage Series by John A Heldt. The book is based loosely on the Great Fire of 1910 (Largest Wildfire in US history) and Haley's Comet. In the book Kevin Johnson has just graduated college and goes on a mini vacation to his Recently passed Grandfather's house with his family to get the place ready to put up for sale. While there he finds a secret diary and a time travel portal. The portal can transport him to 1910 The Fire (Northwest Passage, #4) by John A. Heldt The fire is book 4 in Norhtwest Passage Series by John A Heldt. The book is based loosely on the Great Fire of 1910 (Largest Wildfire in US history) and Haley's Comet. In the book Kevin Johnson has just graduated college and goes on a mini vacation to his Recently passed Grandfather's house with his family to get the place ready to put up for sale. While there he finds a secret diary and a time travel portal. The portal can transport him to 1910 and back. He finds out this is how his Grandfather acquired his fortune. Transporting to the future and selling gold from the past. Kevin decides transporting through time will make for a fun vacation. He even finds the love of his life. The problem with that is she is from the past. I liked that as Kevin travels to the past he looses no time in the present, o matter how long he is in the past. I also liked that he was able to gain the memories of his Grandfather while in the past that helps him to escape during the fire. This was a good book. I wasn't all that crazy about Chaz Allen's rendition I think it was more his voice to me but at times it felt like he was reading a children's book. The fire is book 4 in Norhtwest Passage Series by John A Heldt. The book is based loosely on the Great Fire of 1910 (Largest Wildfire in US history) and Haley's Comet. In the book Kevin Johnson has just graduated college and goes on a mini vacation to his Recently passed Grandfather's house with his family to get the place ready to put up for sale. While there he finds a secret diary and a time travel portal. The portal can transport him to 1910 and back. He finds out this is how his Grandfather The fire is book 4 in Norhtwest Passage Series by John A Heldt. The book is based loosely on the Great Fire of 1910 (Largest Wildfire in US history) and Haley's Comet. In the book Kevin Johnson has just graduated college and goes on a mini vacation to his Recently passed Grandfather's house with his family to get the place ready to put up for sale. While there he finds a secret diary and a time travel portal. The portal can transport him to 1910 and back. He finds out this is how his Grandfather acquired his fortune. Transporting to the future and selling gold from the past. Once again, time travel is a major part of the story but is really more of a convenience without a logical reason for it to even happen. In this book, however, Kevin Johnson has somewhat more control over the trips and the year of his destination because of his discovery of his great great grandfather Asa's time travel diary. But time travel is subject is treated more as magic than science, requiring coordination of lunar cycles, or equinoxes, and spelling out the destination year A solid story. Once again, time travel is a major part of the story but is really more of a convenience without a logical reason for it to even happen. In this book, however, Kevin Johnson has somewhat more control over the trips and the year of his destination because of his discovery of his great great grandfather Asa's time travel diary. But time travel is subject is treated more as magic than science, requiring coordination of lunar cycles, or equinoxes, and spelling out the destination year in gold coins minted before a particular date so as not to have "In God We Trust" on them. This is book 4 in series. I haven't listened to the first three. Kevin Johnson goes on vacation with his family after college graduation. He discovers a time travel portal and the adventure begins. There is plenty of mystery and suspense and even romance. The listener will be kept on the edge of their seat waiting to see if his dreams will come true. The narration was well done.The characters were well portrayed. Chaz Allen performance was entertaining. If you love history you'll really enjoy this story. The details of an historic town and well known fire that took out the town is expertly woven into the characters lives. I felt like I was right there in the town. The method of time travel was believable. I listened to the audio version and found the voice of the narrator was a little old for this story and he didn't do female voices very well. But the story was really good. This one was my favorite in the series thus far, although the time travel device was the weakest of all the books. I really liked all the characters (with one exception, of course). I had to stay up till midnight last night to finish it. I couldn't go to sleep without knowing what was going to happen. I liked the ending (eventually... ;-). I thought it was a great story, well paced and engrossing. Can't wait for the next one! Also, being laced with the story of a time traveler, gave history a sci-fi edge. I would recommend this story to anyone who likes both. A very good read. I'm not much into time travel but this was a bit different . It was based on old legends and history. I found it very interesting. I enjoyed this book. it only got a little stalled out toward the middle of story but soon picked up my interest again. The last half became a page turner. If you are going to read this book, read it and don't listen to it. The narrator is terrible and pauses in all the wrong places, making the story hard to make sense of. That being said, the story was much the same as the rest of the series. Someone goes back in time and disregards everything they have been told about not interfering in things. They also "fall in love" but that person is quickly replaced when circumstances make it impossible for them to be together. I don't know if the author has If you are going to read this book, read it and don't listen to it. The narrator is terrible and pauses in all the wrong places, making the story hard to make sense of. That being said, the story was much the same as the rest of the series. Someone goes back in time and disregards everything they have been told about not interfering in things. They also "fall in love" but that person is quickly replaced when circumstances make it impossible for them to be together. I don't know if the author has a clue about what attracts readers to romance novels. It's not the idea that people you love are interchangeable and easily replaced. When Kevin Johnson, 22, goes to Wallace, Idaho, days after his college graduation, he expects to find rest and relaxation as his family prepares his deceased grandfather's house for sale. Then he discovers a hidden diary and a time portal that can take him to 1910, the year of Halley's comet and the largest wildfire in U.S. history. Within hours, Kevin finds himself in the era of horse-drawn wagons, straw hats, and ankle-length dresses. Returning to the same time and place, he decides to travel again and again and make the portal his gateway to summer fun. The adventure takes a more serious turn, however, when the luckless-in-love science major falls for pretty English teacher Sarah Thompson and integrates himself in a community headed for tragedy. Filled with humor, romance, and heartbreak, THE FIRE, the sequel to THE JOURNEY, follows a conflicted soul through a life-changing journey as he makes his mark on a world he was never meant to see. In The Mine Joel Smith goes back in time to 1941, in The Journey Michelle Preston goes to 1979, in The Show we find Grace Vandenberg taking her destiny in her own hands by following Joel Smith into the year 2000. Now Kevin Johnson takes his own journey into the past by heading to 1910 in The Fire where he meets and falls in love with not just one but two young women. Having to choose between Sadie Hawkins and Sarah Thompson was an eye opener for Kevin, both ladies fulfilled Kevin in different ways but only one of them captured his soul completely. As has been said before Kevin Johnson was not an “accidental traveler”, his passage through time was thought out after his initial trip was successful. Kevin very cleverly availed himself of a rented period costume, packed a suitcase with modern toothpaste/deoderant/razor/underwear and enough currency that could be used in 1910 to allow him to live comfortably while he was there. This era of horse and buggy was indeed a simpler time where Kevin found himself fully embracing the opportunities presented to him and in the end also finds himself finally at ease with what he wants and who he is becoming! While the romance aspects of the book were engaging the entire story was filled with delightful insights into Kevin’s maturing into a more rounded person as he learns that his choices impact those around him just as much as they do his own self, and in some cases in ways that resonate through time for many years! This 4th book in the Northwest Passage series , like the 3 before it, was greatly enjoyed from start to finish. Kevin Johnson is a superbly fleshed out character and as others have said getting to catch up with previous characters a bit was much appreciated as was the introduction of such a wonderful supporting group of characters met in this latest book.